We help to your creation. There are many creative ways to recycle plastic bottles. Even the plastic bottle caps can be reused to make something that will surprise you. 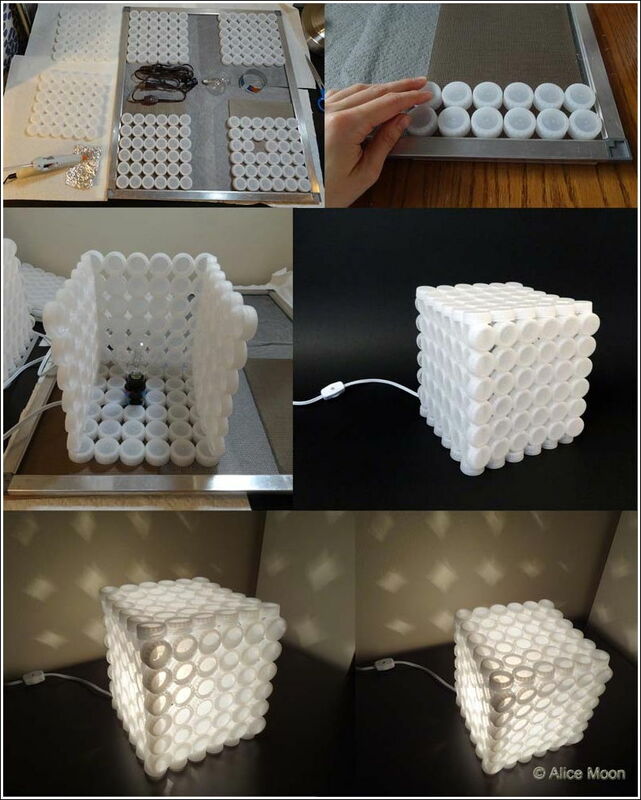 Here’s an amazing DIY project to make a creative plastic bottle cap lamp. It looks very unique and interesting! Of course you will need lots of plastic bottle caps and enough patience to do this. But it’s a nice project to recycle plastic bottle caps that’s worth trying. A piece of pop can.